We wanted to create a way to bridge the gap between real world documents and electronic document and having one clear source of truth. Tampering and security is a big issue nowadays which creates distrust in the electronic system. We wanted our app to regain the trust in electronic system so that we can cut down on paper and save trees! ForgeFox is a tamper free file uploading system. 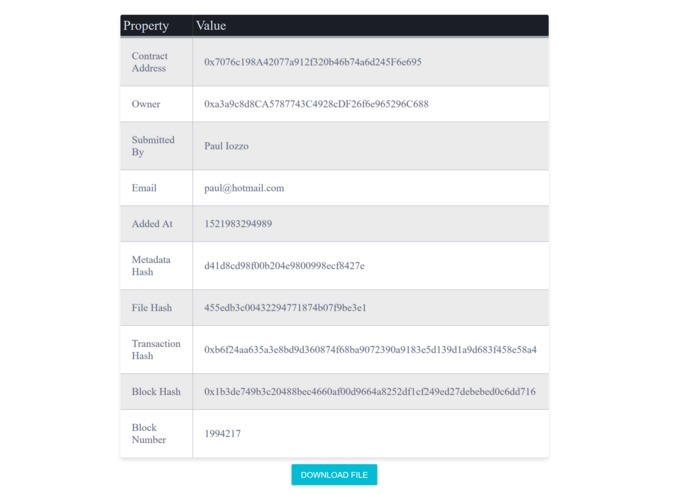 Similar to a checksum but instead of just storing the hash value, the file's information is hashed and store in a smart contract. ForgeFox signs the generated smart contracts with the user's address. 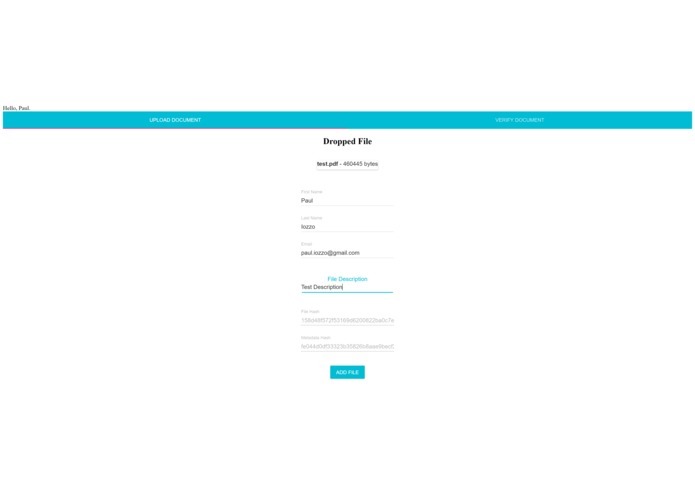 People can easily drag and drop a file onto our website to validate the authenticity of the document and also receive the meta data such as file name, creator and description. Getting web3.js and truffle.js to work properly. We deployed the app on the Rinkeby Test Network and it works. We learned about security protocols and hashing algorithms as well as smart contracts. Vetting users and possible integration with business.